Invisibly Aligned turns orthodontic treatment into an affordable, convenient, and easy process. They provide Invisalign for two prices: $1,995 or $2,995 depending on whether your teeth are Simple or Complex to straighten. Retainers included - no hidden fees. Visit their Smile Studio to transform your smile at 5400 Brodie Lane #260 in Austin. Austin Emergency Center (AEC) brings fast concierge-level, quality emergency care to the local community. Patients enjoy the ambiance and aesthetics of a high-end private practice, followed by an evaluation by an experienced, emergency room physician, within minutes of entry. The facilities use the state-of-the-art equipment and technology of a modern hospital emergency room, including CT scans, bedside emergency ultrasound, digital radiology, and a full clinical laboratory ─ all in the comfort of an upscale clinical environment, without the typical inconveniences associated with a hospital-based setting. AEC is open 24 hours a day, 365 days a year. 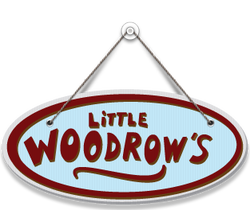 Little Woodrow’s Neighborhood Bar is the beer lover's place for the ultimate sports watching experience, featuring drink specials every day with over 100 beers and a FULL bar! There are currently five locations in Austin. And there are eleven other locations throughout Texas. Check one of them out today! Uncle Billy’s serves as The Austin Beer Run Club's central location, near the Lady Bird Lake Hike & Bike Trail. They serve delicious BBQ, burgers and more. But most importantly they serve award-winning brews from their onsite brewery. Come by and watch the game or relax on the outdoor patio. And feel free to bring the pooch! HelloFresh is a weekly recipe-kit delivery service. You choose delicious recipes each week, and they deliver them straight to your door! Yomosas, the Yoga & Mimosas Club. We offer 1-hour yoga classes followed by brunch and mimosas in a beautiful room at Abel's on the Lake, offering panoramic views of West Lake Hills and Lake Austin. All skill levels are welcome! To find out more about becoming a sponsor, please click here.